From her hit pop anthems to her inspiring female empowerment views, Dua Lipa has literally taken over the world through her music and has made so many people feel like they can do anything as long as they are confident and independent. Her hit single “New Rules” was the definition of “Miss Moving On” and continues to be a constant reminder of what not to do after a tough break-up. She is the leader of fandom looking to get back on their feet when life doesn’t go as planned. Talk about a queen! Her newest single, "IDGAF", is the ultimate kiss-off jam, and we are living for all of it! Here are some fun facts to know about the mega-hit sensation! Although she was born in London, her name, Dua, means "love" in Albanian. Her parents are Albanian and moved to London in the 1990s. She grew up watching her father, Dukagjin Lipa, who was also a singer, and by the age of 14, she was already getting her name out there by posting covers on YouTube of her favourite artists and soon joining the Sylvia Young Theatre School as a part-time student. The rest was history! It's true! As experienced and mature as she looks and sounds, this talented singer could basically only be a senior in college. Her sophisticated persona and attention to supporting important messages in today’s society contribute to her being wise beyond her years. She is the definition of an old soul and conveys that, no matter how old you are, you can make a difference or be a positive impact in the world! This is definitely does not come as a surprise, only because she's gorgeous but also because her fashion statements may very well be iconic and she is able make every single look work. As a model, she was signed with Next Model Management in New York, Paris, Miami, London, Milan. Not to mention, her artsy Instagram posts that give us a peek of her style interests along with helping us navigate our fashion choices in the right direction! Yup, she certainly has model vibes! This extremely clever and important song boosted her career to where she is today. The hit was her first number one in the U.K. last summer and went 2x Platinum in her native country! Her well-known single serves as a powerful message to people trying to move on from a relationship. The song is her best-selling single to date, charting at number 2 in Australia, number 7 in Canada, and number 11 in America. In December 2017, she became the most streamed woman of 2017 in the U.K. by Spotify. The song has over 475 million views on Youtube! With all this information overload, a few things stood out. 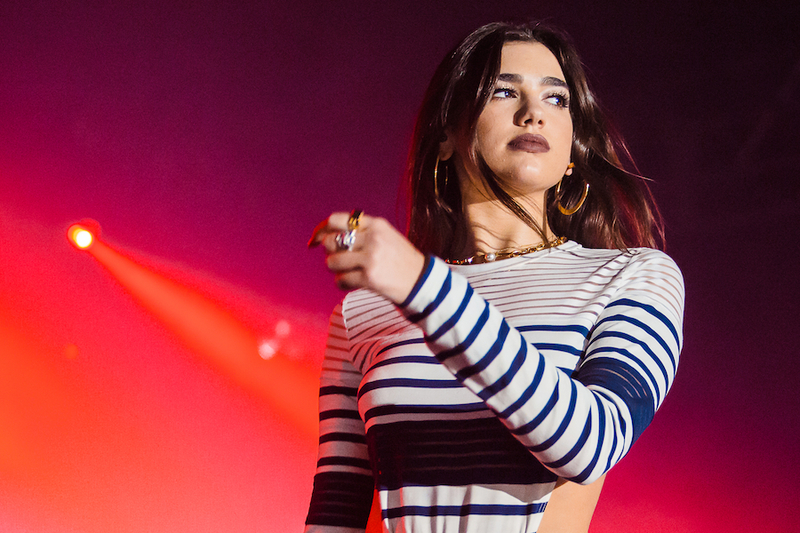 One: Dua Lipa continues to slay and we are here for it! Two: she may very well be the coolest person we have ever seen. Three: there absolutely no chance of us getting over her! So here is our powerful message to you Dua Lipa -- keep making those hits and we’re good!